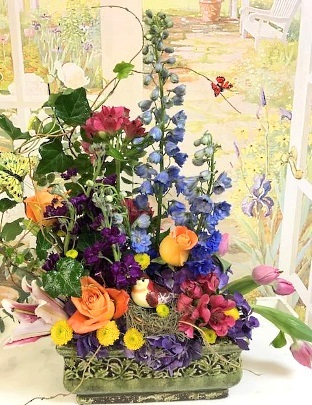 Yukon Flowers & Gifts is a family-owned-and-operated flower shop that offers many different fresh flower arrangements and gifts for practically every occasion. 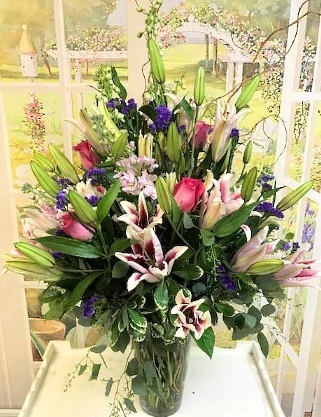 Located in central Oklahoma, this flower shop has been serving the floral arrangement and gift delivery needs of area residents and businesses for more than 25 years. 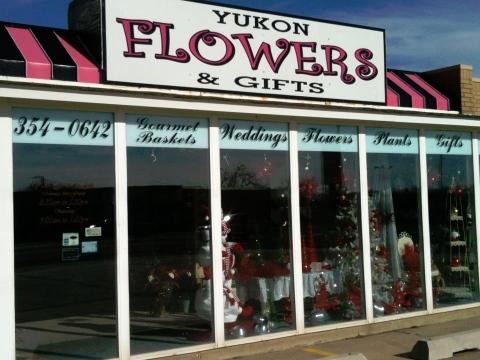 YUKON FLOWERS & GIFTS is a professional local florist proudly serving Yukon, Oklahoma and surrounding areas. Our friendly and knowledgeable staff is ready to assist you when you need flowers delivered locally or anywhere in the world. For your convenience, we also offer daily delivery service to local hospitals and funeral homes. Yukon Flowers & Gifts serves the surrounding areas including Oklahoma City, Bethany and El Reno. Yukon Flowers & Gifts regularly delivers to Heritage Assisted Living, Ranchwood Nursing Center and Yanda and Son Funeral Home. Whether your wedding or party is formal or casual… a small gathering or the social event of the year… we can help you plan an event that's a "blooming" success! Call us in advance at 405-354-0642 to schedule your consultation. Browse our wonderful green plants, blooming plants, European gardens and dish gardens for a gift that adds life to any room or office. One of our gift baskets of fruit and goodies would make a thoughtful and tasty choice anytime of year. We also offer gifts for any age or occasion, including plush stuffed animals, balloon bouquets, candy & chocolates, silk flower arrangements, dried flowers, baby items, pillows, table runners, home décor, Colonial Candle Co. scented candles and more! Thank you for visiting our website for flowers delivered fresh from your local Yukon, OK flower shop, Yukon Flowers & Gifts!